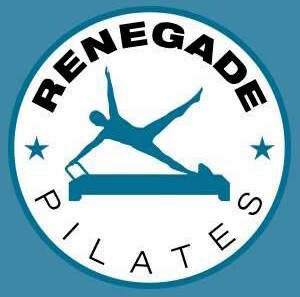 Start taking classes at Renegade Pilates and other studios! This Pilates inspired class takes your workout to a whole new level. This low impact bootcamp style class will make you sweat, improve your balance, increase your flexibility and light your core on fire as you challenge every muscle in your body while elevating your heart rate. This class is guaranteed to sculpt your body fast. There are no upcoming “Renegade (Bootcamp) Reformer” classes on this day. WE HAVE MOVED TO 8250 Biscayne Blvd, Suite 200. We are located above Cartronics on the west corner of Biscayne Blvd. Private parking behind building on NE 82nd Terrace. Street parking and additional metered parking on NE 83rd St. Please enter through glass door on NE 82nd Terrace. Challenging class, instructor does not waste time (fast pace) and is very focused on proper alignment. Loved it! I loved this class, it was challenging and fun ! Great sweat and interesting use of the reformer. Very good instructor, hands on and knowledgeable. Leslie is very attentive and knows her stuff. Great class and awesome instructor! She was thorough and it was a good workout! She taught the class even though I was the only one who showed up. Galina is an amazing instructor, the class was tough, dinamic and we worked every muscle group! Thank you. We love Claudia too!